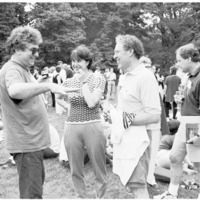 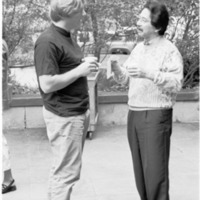 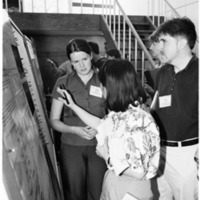 Gillian Wasson, Kwang-Ai Won and Michael Carty at Biological Responses to DNA Damage Symposium Poster Session, 2000. 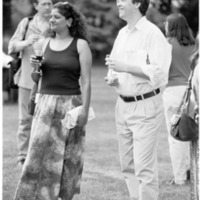 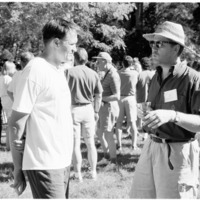 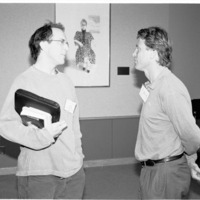 Deepa Subramanian and Rolf Craven at Biological Responses to DNA Damage Symposium Wine and Cheese, 2000. 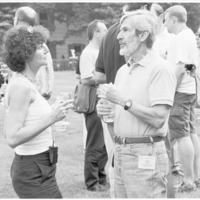 Gloria Esposito and _ at Biological Responses to DNA Damage Symposium Wine and Cheese, 2000. 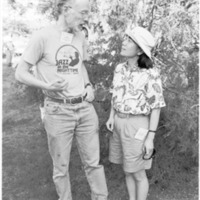 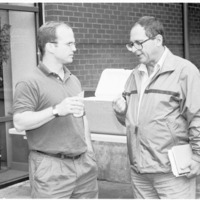 Titia DeLange and Martin Gellert at Biological Responses to DNA Damage Symposium Wine and Cheese, 2000.